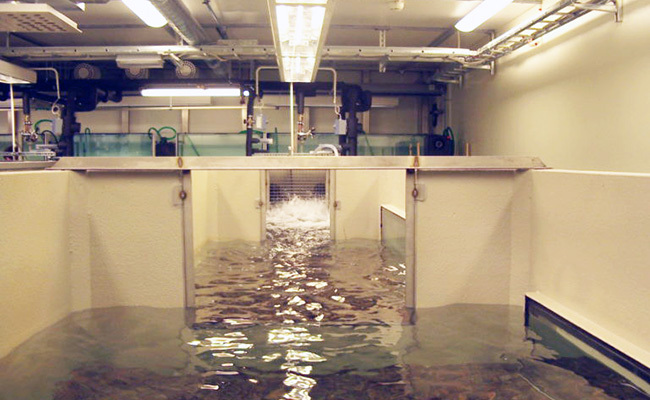 The Stream Aquarium Laboratory is located in building 5F at the Karlstad University Campus. The 250-m² facility houses four seven-meter long, state-of-the-art artificial streams. 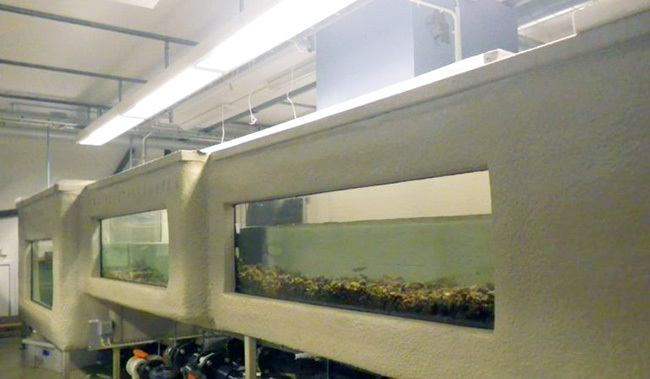 There are also two rooms with 30 smaller aquariums of various sizes, and small laboratories for research and teaching purposes. In the Stream Aquarium Laboratory we have the ability to regulate such environmental factors as ambient light, and water temperature, depth, and velocity. This enables us to isolate the effects of environmental conditions on fish behavior in a controlled environment.